I cannot be attached to a vehicle produced after January 1, 2007 (Heisei 19) to conflict with a preservation standard. They place a car model name in a product title, the correspondence car model, but we cannot take all responsibility when I attach it to a vehicle produced after January 1, 2007 (Heisei 19), and some kind of problems occur. Thank you for your understanding beforehand. 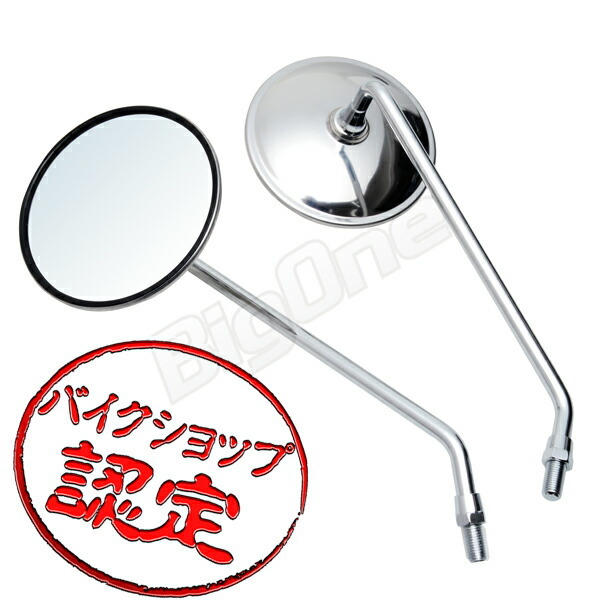 ※Even the vehicle except the Yamaha car may use a reverse screw. I would like confirmation before an order. It is the exchange with the mirror of the errand now. The basic work tightens a nut and only loosens it, but the confidence which there is not, please depend on installation to a motorcycle shop nearby as I am attached in visitors and am out of the guarantee when a product is damaged.